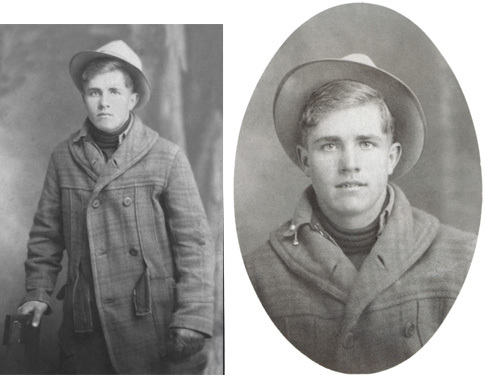 Al Morgan in the picture above taken when he was about 16 years old. He was born in 1899 and married Sarah Anna Barnhart in 1918. Below is a picture of Sarah Anna Barnhart when she was about 25 years old. 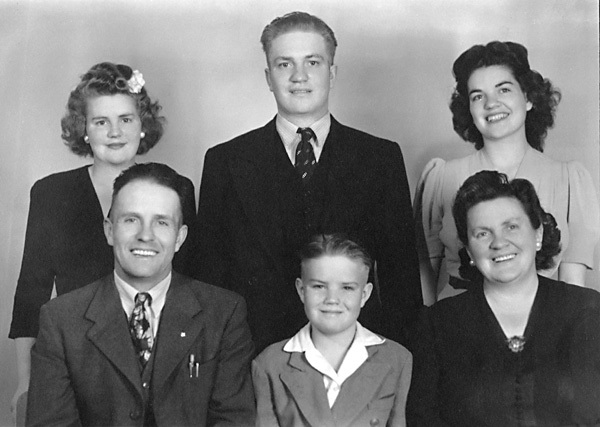 Below is a family portrait of the Alvin and Anna Barnhart Morgan Family taken about 1943. Back Row, L-R: Vera Joyce born 1929, Elmo Alvin (1920-1996), Vada Drucy born 1925. Front Row, L-R: Alvin Elmer Morgan (1889-1970), Sheral Stewart born 1935, Sarah Anna Barnhart (1900-1983). Elmo Alvin Morgan, born 7 February 1920 in Shelton, Bonneville, Idaho, and died 6 June 1996 in Salt Lake City, Utah. He married 6 December 1941 to Iris Irene Hardcastle, daughter of Oren Hardcastle and Mary Ida Morrisy. They lived in Firth, Bingham, Idaho. Click on the link above to see a picture of Elmo Alvin and Iris Morgan. Click on the link above to read life histories for Alvin Elmer and his wife Anna Morgan. 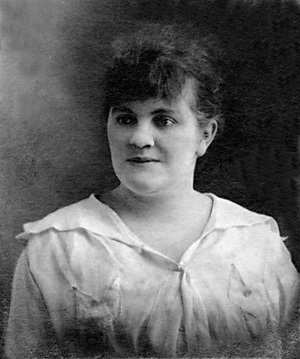 Click on the link above to read a life history and to see family pictures for Sarah Anna Barnhart Morgan. Click on the link above to see a large picture of Ada Morgan Radford in a group picture of the women of the Shelton, Idaho ward taken in the 1940's.